Staff at Frontier Veterinary Clinic in Cheyenne, Wyoming, sensed that something was wrong as soon as they met the woman driving the white pickup with California plates. It was a cool May day in 2014, and she wore a down jacket over her pale blue tracksuit. Kimi Peck had called earlier, asking to get rabies shots for 20 dogs—a strange request in itself—but when she opened the jury-rigged plywood door of the camping trailer she was pulling, there were close to 60 animals inside: Chihuahuas, terrier and border collie mixes, pit bulls, an Australian shepherd, a saluki, and a shaggy Great Pyrenees. Some ran loose; others were in rows of stacked animal crates. The trailer was wet with urine. It stank. She was part of a rescue operation, Peck explained, and en route to a sanctuary in Utah. The story made no sense. Peck looked worn and wan; her hands were twisted with arthritis. What rescue would send someone like this to drive a load of unvaccinated dogs through the harsh emptiness of the West? A clinic employee called animal control, which, it turned out, had gotten a call about the driver and her cargo earlier in the week, when they’d been parked at a nearby Walmart. In fact, the driver’s name was all over the Internet, with claims from people in California that she was an animal hoarder. Officers had inspected the trailer and reported the dogs to be well fed and not in distress. The Frontier Veterinary staff disagreed. The animals were dirty and too thin; several had serious health issues, like eye problems and hair loss. When officers arrived, they confiscated all but four (the maximum local law allowed as pets). Afterward Peck, the former head of Burbank-based Chihuahua Rescue, towed her trailer south to rural Weld County, Colorado, where she’d previously camped behind a mobile home off I-25. As she slept the next morning, two neighbors who’d read about her online found the saluki and shepherd running loose and took them to Boulder’s Humane Society. (Peck later said that the women had broken into her trailer and stolen the dogs.) Humane Society staff pronounced the saluki emaciated, and two days later, on May 5, a sheriff’s deputy arrested Peck on a charge of animal cruelty. News of the bust, covered by media in both Colorado and Wyoming, quickly traveled to the Southern California animal rescue networks. For a handful of women who had once worked with and for Peck and devoted considerable effort to having her declared a menace, it was a moment of triumph. Other activists just felt a grinding sadness: Please, not again. While the rescue movement has helped alter the fates of countless unwanted pets, it has also given birth to a perversion of itself: the rescue hoarder, who “saves” animals only to hold them forever, often in horrific conditions. Dozens of cases, involving thousands of suffering animals, are exposed yearly. Randall Lockwood, the Washington, D.C.-based senior vice president of forensic sciences and anti-cruelty projects for the ASPCA, says that as many as 25 percent of the nation’s large-scale animal hoarding cases involve individuals and groups that self-identify as rescue efforts. Peck came to meet me, driving the white truck. Nearly 65, she was dressed in the style of a young woman—long blond hair and pink lipstick, leggings, Uggs. She had been suspicious when I first contacted her by e-mail, responding that people lied about her and asking how she could be sure I was who I claimed to be. Then, writing “I had a different feeling about you,” she agreed to talk to me in person. Peck had read my work online, learned that I drank strong coffee, and brought me a pound of organic dark roast. We spoke for more than four hours; she asked only that I tell the truth. The truth about Peck, though, isn’t a question of “Is she or isn’t she?” Her alleged offenses have been far less gruesome than those committed by others who’ve been exposed as rescue hoarders—at Spindletop “sanctuary” near Houston, which was busted in 2012, 38 dogs suffocated in an unventilated room—but the accusations have been constant, consistent, and come from people in five counties in three states. Her rebuttal is a litany of conspiracy and persecution. Peck’s sad, disturbing saga is both specific and archetypal. 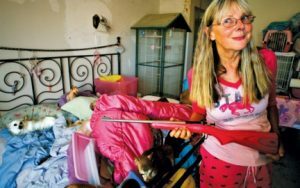 Most rescue hoarders are female, intelligent, articulate, driven, media wise, good at accumulating animals, litigious—and excruciatingly hard to stop. In large part that’s because we all enable them. 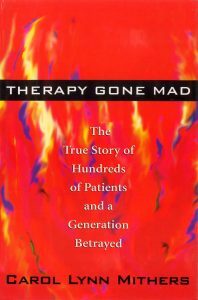 To understand how a self-proclaimed “savior” of animals becomes the prime agent of their misery is to explore the intersection where personal pathology meets the public’s blind faith that there’s an easy, happy ending for our society’s endless stream of discarded, sick, stray, overbred, takes-up-too-much time, shouldn’t-have-been-born dogs and cats. Everything will be OK, we tell ourselves, as long as they get out of the shelter alive. Both women had been up since dawn. Rescuers’ days typically start early, with a flood of photos and e-mails from others desperate to place some endangered creature. THIS SWEET GIRL NEEDS A HOME, NOW! PLEASE SHARE! TEXAS DOG ON DEATH ROW! FW: FW: FW: HIS TIME IS UP! SAVE THIS BABY! That wouldn’t have been the case a few generations ago, when a stray or unwanted animal’s only future was death. In the 1970s, some 20 million dogs and cats were being euthanized each year in the United States, 110,000 in the City of Los Angeles. With the spread of pet sterilization the numbers came way down, but as late as the mid-1980s, an animal brought into a shelter was likely to die there. The city’s annual death toll stood at 60,000. In 1989, Rich Avanzino, president of the San Francisco SPCA, implemented a radical change, a city policy that came to be called No Kill, which declared that no healthy animal should die because it doesn’t have a home. No Kill is now the dominant national paradigm, with about 70 percent of people responding to a 2011 AP-Petside.com poll saying that only terminally ill or dangerous animals should be put down. Municipal shelters can’t hold large numbers of animals for years on end; rescue is the response. The movement almost resists definition. It’s decentralized, unregulated—anybody can join in—and exists as a loose collection of disparate groups and individuals, most of them women. Some handle seven animals; others, hundreds. Efforts are regional, national, well funded, broke. A rescuer may keep animals in her own living room or yard, board them in kennels, find foster homes, open a “sanctuary” for those too damaged to ever join a family, or arrange transport to another part of the country. Some help strays, but most pull from crowded public shelters—which, under pressure to reduce their euthanasia rates, are glad to help. Are We Loving Shelter Dogs to Death? No-kill policies can be helpful, but without assistance for struggling families, they may be making things worse for America’s pets. LOS ANGELES – On the night of Aug. 6, someone tossed a 5-year-old black pit bull from a car onto a South Los Angeles street corner, where she lay unable to move. A nearby resident found her and called Ghetto Rescue Foundation, a nonprofit active in the city’s low-income communities, and a volunteer took the animal to an emergency vet. The dog was badly dehydrated and had injuries that a veterinary technician said indicated sexual abuse. Despite treatment, she died a few hours later. While examining her, the veterinarian found a microchip lodged beneath the dog’s skin, which identified her as Valerie. She had been adopted two weeks earlier from a public shelter during a cut-price “clear the shelters” weekend. Valerie’s story spread quickly around Los Angeles and Orange County, where Valerie had been adopted. A subsequent report by the Los Angeles Police Department’s Animal Cruelty Task Force, which contradicted some of the story’s details, did nothing to calm tempers. Valerie’s case highlights a larger problem with pet adoption presented as the only alternative to euthanasia. It’s appealing to believe that all we need to do is find those animals new homes to reach the goal of “no kill.” The reality is a lot more complex. Since the late 1990s, reducing animal shelter populations through adoption has been a prime piece in the “no kill” strategy. Shelter hours have been extended to accommodate working people in the hopes they’ll visit and find a pet. Volunteers and staff members post cute photos and videos online; supervised dog “play groups” let would-be adopters see animals happily romping together, rather than caged and lunging at the bars. Thousands of independent rescue groups of all sizes have taken custody of shelter animals; they have fostered, groomed, spayed and neutered them, medically treated and trained them, and found them homes. All of this is a good thing. 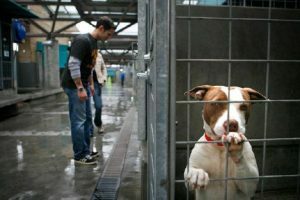 The problem is that while regions like New England and the Pacific Northwest report shortages of shelter animals, nationwide it’s a different story. Because of the continued high intake volume in many states, the United States still euthanizes up to two million dogs and cats a year, with rates highest in disadvantaged communities. Not coincidentally, shelter intake is higher in those communities as well. Take parts of Los Angeles, which has had an explicit no-kill policy for its shelters since 2012. At the moment, every public shelter in the city is full, and the South Los Angeles shelter, in one of the most densely populated and disadvantaged parts of town, has been crowded for months, with dogs being housed two and three to a cage. A big part of the reason shelters fill is poverty: An estimated one-quarter of shelter animals are there after their owners have surrendered them because of family dysfunction or financial pressure. A dog may be sick and there’s no money for a vet; a landlord may be threatening eviction. The animals of the poor end up in shelters even when their owners desperately want to keep them. If a dog gets out and is picked up by animal control, for instance, impound and reclamation fees and fines can make retrieving it unaffordable. Ignorance and misinformation about sterilization, and not enough affordable, easily available surgery options, result in even more dogs that no one can care for. Perhaps most significantly, continued overemphasis on getting animals out of the shelter obscures the fact that we need to acknowledge the connection between animal and human struggles before we can prevent so many from coming in. Models exist. Downtown Dog Rescue’s Shelter Intervention Program, at the South Los Angeles shelter, offers financial assistance to pet owners who are considering animal surrender, including vouchers for vet care and cash to pay reclamation-related fines. In the past five years, the program has helped keep nearly 5,000 animals at home. More attention to educating communities about spay and neuter, more information about training, and especially more access to spay and neuter through community clinics and mobile vans are tactics with proven value: Before the first wave of mass pet sterilization in California in the 1970s, the shelter expert Peter Marsh has pointed out, 21 percent of the state’s entire population of dogs and cats was killed each year. Twenty-four hours after she died, Valerie had a memorial Facebook page. It featured an original adoption promotion photo that showed her heartbreakingly bright-eyed and eager. Several foundations offered thousands in reward money for information leading to an arrest and conviction of her abusers, and activists swore they’d keep up the pressure on authorities. Meanwhile, the shelter from which she was adopted announced it was joining the latest nationwide “Clear the Shelters” day, scheduled for Aug. 18. With dogs as with much else, Americans cling to our simple, comforting narratives and our old and easy solutions.